New Delhi: The first day of the monsoon session of Parliament was stormy as the Congress refused to relent and demanded the resignations of Union Minister for External Affairs Sushma Swaraj and Rajasthan Chief Minister on the cricket tycoon Lalit Modi issue and Chief Minister of Madhya Pradesh shivraj Singh Chouhan due to the massive recruitment and medical entrance examination scam. While the Lok Sabha was adjourned for the day immediately after obituary reference, the Upper House witnessed noisy scenes and was repeatedly adjourned. 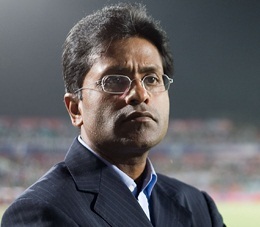 Earlier, the opposition gave notice in Rajya sabha for suspension of rules to discuss the Lalit Modi issue. Former Union Minister Anand Sharma drew attention to the issue of Sushma Swaraj writing to the British authorities to provide travel documents to Lalit Modi. Union Finance Minister Arun Jaitley immediately responded by saying the Government is ready for discussion on anty issue but it appears that the Congress members are not prepared for it. At Jantar Mantar here, which is not far from Parliament, the women’s wing of Congress also held a protest demonstration today.